Property 2: Welcome to the Smokies! Property 4: Rebecca’s Nest-A Creekside Retreat! Property 6: Ready for Some Quiet Time While on Vacation? Try Us!!! Great Location! Beautiful neighborhood ~A Little Bit Country, A Little Bit City! Property 14: Great Location! Beautiful neighborhood ~A Little Bit Country, A Little Bit City! Every Fisherman's Dream! Located on the beautiful Watauga River! Property 16: Every Fisherman's Dream! Located on the beautiful Watauga River! LEIPER'S FORK! RENOVATED STONE COTTAGE! BREATH TAKING VIEWS. 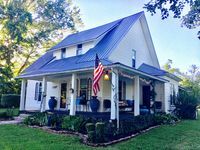 Property 17: LEIPER'S FORK! RENOVATED STONE COTTAGE! BREATH TAKING VIEWS. Center Hill Lake, family/pet friendly custom home on 2 acre lot, 6-8 pers. Property 18: Center Hill Lake, family/pet friendly custom home on 2 acre lot, 6-8 pers. Port Gillum where there is a lake view from every room...even the bathrooms! Property 22: Port Gillum where there is a lake view from every room...even the bathrooms! The Gamble House-Go for a hike! Among TN’s most amazing state parks. Property 24: The Gamble House-Go for a hike! Among TN’s most amazing state parks. Blue Ivy: Modern Mountain Gem~outdoor lovers' dream. Couples mountain escape. Property 25: Blue Ivy: Modern Mountain Gem~outdoor lovers' dream. Couples mountain escape. Sawyer's Retreat close to MTSU and downtown Murfreesboro! Property 30: Sawyer's Retreat close to MTSU and downtown Murfreesboro! Property 33: Beautiful and updated, restful private suite - your home-tel! Property 34: 4th NIGHT FREE IN MAY!! Property 37: !! !Complimentery Wine, Chocolate & local beer crate W/Any 2+ Stay!!! Property 41: Welcome to The Nashville Nifty! Property 42: Peace Haven -Plenty of room to enjoy some peace in this beautiful home situated in a quite harbor haven! Spacious Upstairs Private Room And Full Bath 15 Mins From Down Town Nashville. 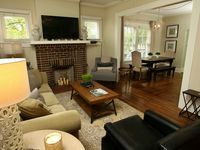 Property 43: Spacious Upstairs Private Room And Full Bath 15 Mins From Down Town Nashville. SPRING ADVENTURES AWAIT! PRIVATE CABIN BORDERING BIG SOUTH FORK NATIONAL PARK! Property 46: SPRING ADVENTURES AWAIT! PRIVATE CABIN BORDERING BIG SOUTH FORK NATIONAL PARK! Property 47: New Private Forest Retreat: No Pet or Cleaning Fees! Our family of four thoroughly enjoyed our stay. The home is furnished comfortably, and the front porch was a highlight. The location was perfect. We definitely recommend staying here. We enjoyed our stay at the house, it was quiet and has lots of character we will definitely have to stay again. Recommend it for anyone looking for a nice place to stay.